I've worked on seabirds since my undergrad at Guelph, where my honours project used feather isotopes in museum specimens to describe long-term changes in the diets of marbled murrelets. But I've also had the good fortune to do fieldwork on all sorts of species in all sorts of places, from frogs in Australia to gray jays in Ontario, from eiders in the Arctic to seabirds in the Antarctic. 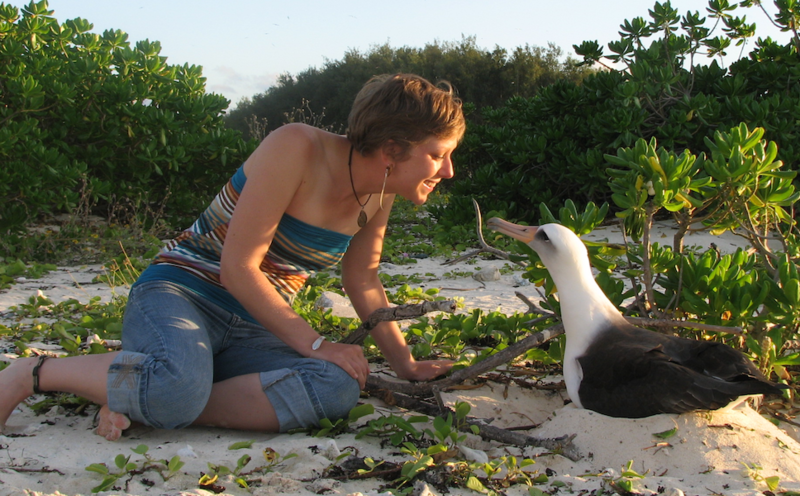 For my PhD, I'm trying to understand variation in habitat use by two imperiled species of albatross (Laysan and Black-footed) that mainly nest in the Northwest Hawaiian Islands but that use the whole Pacific as their home range. Using various statistical approaches, I'm trying to understand how birds of different age classes and different colonies use the ocean throughout the year, and how that affects their population dynamics of their colonies. I hope the results will contribute to the study of movement ecology and help identify places that are particularly important for conserving these species. My research relies heavily on new tagging technologies that are revolutionizing our understanding of animal movement. I currently teach a course on these techniques here at Dalhousie, BIOL/MARI 4323.